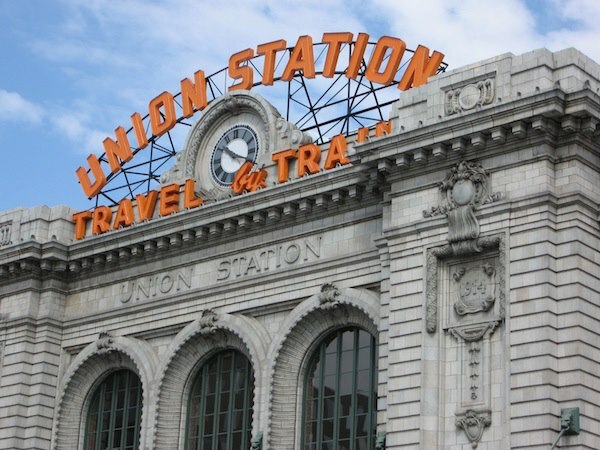 There is Good news for Denver food lovers who plan to visit the soon-to-be revitalized Union Station. The partnership that is overseeing the rehabilitation project announced plans for the first three restaurants to be incorporated into the revamped space. All three are names that are familiar to Denver locals, and all three are quite Good! The largest will be a restaurant/market concept from Alex Seidel, the chef and owner of Fruition, a fantastic small New American neighborhood restaurant near Cheesman Park. The second will be The Kitchen Next Door, a pub from the folks who run The Kitchen in Boulder (and, as of a year ago, also in Denver). The third is another location of the ever-popular Snooze–perhaps my favorite breakfast/brunch spot in the city due to its incredibly delicious pancakes. Union Station is being redesigned to become a mixed-use, transit-oriented hub featuring light rail lines, bus lines, Amtrak lines, a 112-room luxury hotel, retail shopping, and, of course, dining. The project is scheduled to be complete in July 2014, and commercial developers are betting big on the project being a huge success. Now could be the best time to buy residential real estate of your own nearby. To search homes and condos for sale nearby, click here. For more information on the Union Station project, click here. In addition to writing for The Good Life Denver, David works full-time as a Denver real estate agent. David helps his clients (ranging from first-time home buyers, to sellers, to seasoned investors) to achieve their real estate goals. Contact him today for all of your Denver real estate needs, and click here to search all Denver real estate for sale.